Please call between 10:00 and 16:00 to enquire about your test results as our reception staff will have more time to deal with your request between these times. If you want an explanation of your results or to discuss them in further detail, you must contact your doctor or practice nurse. Our receptionists are not medically qualified and therefore will be unable to help you. Can I eat and drink before having a blood test? It depends on the type of blood test you’re having. If you have any questions about your blood test, ask your healthcare professional for advice. You can eat and drink as normal before some blood tests. However, for others you may be given specific instructions so that the test results aren’t affected, for example, not to eat and sometimes not to drink before your test (known as a fasting blood test). Below are some examples of different blood tests and what you may need to do to prepare for them, including how long you may need to fast. However, it is important you speak to your healthcare professional first about what type of blood test you are going to have and follow their advice carefully. Do not eat or drink anything except water for 8-10 hours before a fasting blood glucose test. These can be used to diagnose diabetes, a condition caused by too much glucose (sugar) in the blood. Check with your healthcare professional first as it is not always necessary to fast before a blood test. Iron blood tests are usually taken in the morning before you eat anything. You should also avoid taking iron pills or tablets for 24 hours before your test. Your body absorbs iron very quickly from food or pills, so this can raise your iron levels and affect the test results. 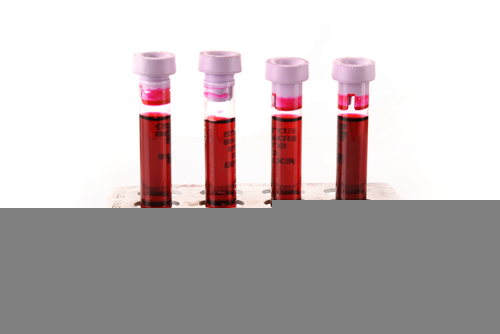 Iron blood tests help diagnose conditions such as iron deficiency anaemia (lack of red blood cells caused by low iron levels). Do not eat anything and only drink water for 10-12 hours before having blood cholesterol tests (lipid profile). Some laboratories can calculate your LDL cholesterol level from your total cholesterol, triglycerides and HDL levels. However, you will still need to fast for these tests. If you do not need to fast, your healthcare professional will let you know. If you’re just having a triglycerides test, do not drink alcohol for 24 hours before the test (you’ll also need to fast as explained above). The Health A-Z has more information about diagnosing high cholesterol. A GGT test is used to help diagnose liver disease. Do not eat for at least eight hours before the test and do not drink alcohol for 24 hours before the test. Smoking can also affect the test results. Your healthcare professional will tell you if you need to stop smoking before the test and how long for. Can I take medication before having a blood test? How do I understand my medical test results? How can I find out my blood type (blood group)? Once you have had your x-ray, the result will usually be available between one to two weeks (depending on the radiology departments work load - the radiologist will usually be able to tell you how long you will have to wait for the result). 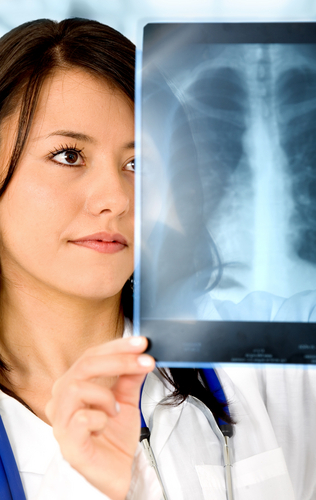 However, urgent x-ray results are prioritised and sent to your GP within one to two working days. Please ring the surgery to get your x-ray results.